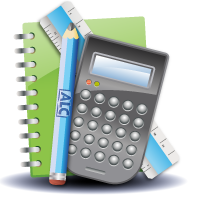 ALC has over 13 years of experience helping local students achieve remarkable increases in their standardized test scores. Colleges and Universities are becoming more and more competitive each year, and SAT/ACT test scores have never been more crucial in determining admission. Don't go into these exams without proper preparation - it is simply too important. ALC has developed a unique and proprietary system to prepare students for these important tests. ALC's process begins with a complimentary diagnostic exam to evaluate and indentify a student's strengths and weaknesses. During the complimentary consultation, we work with your family to develop a customized preparation program to maximize score increases. Tutoring times and locations are flexible – we know you are busy and will work with you to create the perfect plan for your specific needs! Looking for specific test dates or need to register for a test? Know that you need to prep for the SAT or ACT, but not quite sure how to choose the right test? Do you have questions about the standardized testing process – when to begin preparing or how many times to test? ALC can help! Contact us today!